Heartbroken, Oscar Chavez was forced to choose between life or death after a lifelong battle with obesity. After witnessing his daughter, Arianna battle for her life after being born 9 weeks premature, he was determined to orient his life towards health and away from obesity. At a staggering 161kgs, Oscar was categorised as “morbidly obese” and his doctors pleaded with him to get lap band surgery because he had a monumental amount of weight to lose. His doctors thought weight loss was unachievable through natural means. Oscar proved them wrong. Since 1992, Oscar had been battling with obesity and yo-yo dieted numerous times as he tried different weight loss solutions and turned in every direction for help. Like his doctors, Oscar once believed that lap band surgery was his only option but he refused to give up his personal power to this medical procedure. 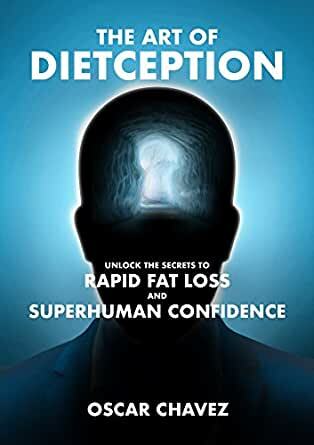 “The Art of Dietception” is a thought-provoking new look at this ancient disease and offers a revolutionary guide to naturally eliminating obesity from one’s life. Today, most Doctors, Dieticians and Weight Loss Companies fail to understand obesity because they have never lived through it. Obesity is not a "life sentence” as we once thought and the only thing that can save the lives of people struggling with excess weight issues is a paradigm shift in their way of thinking. This book explores how the Dieting Industry is failing the masses, while their profits are at an all-time high. It explains how we can take steps towards health through an understanding that education about the body and brain is the only way to overcome a life of poor self-esteem, low confidence and diminished quality of life that obesity creates. The only effective Weight Loss solution is education - not medication or intervention surgery. With the entry of many "gurus" in the industry - people are finding themselves confused about how to lose weight and how to eat. We've lost touch of who we are. Obesity is becoming a global epidemic and the secrets to reversing obesity are well within reach. This book will explore how you can take action to get the quality of life you’ve been lacking so that you can finally take control of your own destiny without spending another cent on diets.